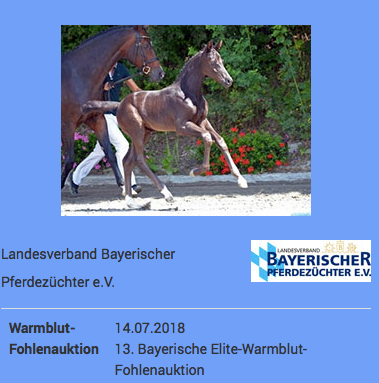 A nice collection of foal for the upcoming Elite auction in Bayern, but not really showing top Elite qualities. No 30 a colt by Fahrenheit / Samba Hit I looks like a top price from H2R point of view. No 30 by Fahrenheit / Samba Hit.